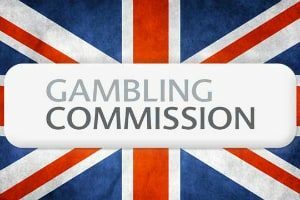 A recent study by the UK’s Gambling Commission found that children as young as 11 years old have reported problems with gambling and nearly 500,000 have stated they regularly bet in some form. These revelations have the Commission calling for greater regulations on gaming and gambling ads. The study found that many children’s apps have gambling ads within them, especially those apps that are games of chance. The Commission has called for gambling ads to be completely removed from children’s apps on smartphones and tablets. There has been gambling in the United Kingdom in some form for centuries. The countries of the United Kingdom have had a love affair with the notion of gambling. At first, gambling was merely betting on horse races. Lotteries were used to pay for wars the British government found itself embroiled in. Poker rooms were also popular in the 19th and 20th centuries. However, the most popular forms of gambling in the UK have been placing sports bets, as well as video gaming on fixed odds betting terminals, which operate much like a slot machine would. UK residents are allowed to gamble at online casinos and place sports bets online or via an app. 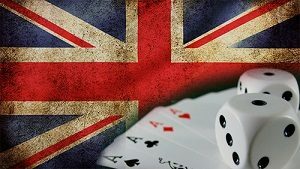 Recently, the UK government, faced with a large number of problem gamblers, has been seeking to place additional restrictions and taxes on gambling operations. For example, the government is looking to restrict the number of bets per FOBT to two-pound bets only per spin—which has met with extensive amounts of criticism. The government has also looked at raising taxes on betting companies in the UK in order to increase the amount spent on social services for problem gamblers. The survey, done by the Gambling Commission, studied hundreds of thousands of children in the country for the purposes of learning how advertising affects children’s attitudes on gambling. The results were shocking, according to the Commission. While the legal age for most gambling is 18 in the UK, over half a million children between the ages of 11 and 16 regularly place bets. Over 75% of children between those ages have seen gambling ads on television, and are interested in placing bets. Nearly 60% of children have played a game through an app that had a gambling advertisement. The same amount of children have also made in-game purchases, such as loot boxes, that could be considered gambling. The study found that more children are involved in gambling than they are in drinking, drugs, or other illegal activities. The Gambling Commission is looking into changing how gambling is promoted throughout the country. For example, the study found that changes need to be made to loot boxes, because children use video game loot boxes as a form of gambling, as these in-app purchases function as a form of slot machine. The Commission noted that loot boxes make risk-taking seem like it is no big deal. However, risk-taking is one of the reasons that problem gamblers do not know when to stop, because they love the thrill of the risk. The Commission is also looking to ban any advertisement that is found in children’s games. If a game is targeted for children, the Commission wants gambling ads banned. The study showed that the more gambling ads a child saw, the more likely they were to gamble. If the Commission gets its wish, all gambling advertisements in children’s games—on video games, mobile games and game apps—would be banned. The Commission also wants to limit the times gambling advertisements can be shown. Currently, sportsbooks cannot advertise during matches, but the Commission wants them banned during the times of the day children are watching. The Commission feels cracking down on advertising is essential to curb gambling behavior in children.